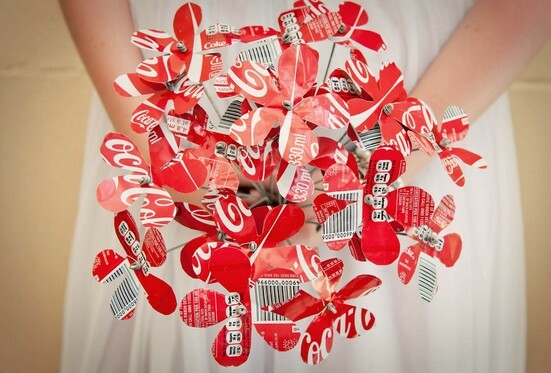 Use soda cans to make flowers and make a bouquet out of them! See more photos from this wedding on the source. See a tutorial on how to make flowers out of soda cans. See a tutorial on how to make a rose out of a soda can. See this idea using whole crushed soda cans.